Upon successful completion of the two-year nursing degree program, graduates are ready to apply for state licensure and examination, and seek entry-level employment as registered nurses. Altamonte Springs: Centrally located in the Orlando area, our Altamonte Springs Campus housed in a 10,700 square foot facility conveniently located on State Road 436 just a half mile south of Interstate 4. Students attending our Altamonte Springs campus have access to fine-dining, shopping and more all within walking distance. Explore our Orlando area campus curriculum for more information on programming. Delray Beach: Located in the Palm Beach area, our Delray Beach campus offers multiple classrooms, advanced healthcare technology and extensive learning and collaboration opportunities. Explore our Delray Beach campus curriculum for more information on programming. Each of our school campus locations offers a welcoming, inclusive and safe environment in which to learn, network and hone skills vital to the registered nursing profession. As a registered nurse, or RN, you will work directly with physicians, other nurses, and healthcare professionals to provide and coordinate care for patients dealing with various health conditions. RNs also play a key role in educating patients and families on medical treatment options while acting as emotional support during trying times. Individuals seeking employment in the registered nursing field do so in a rising job market for medical care professionals. 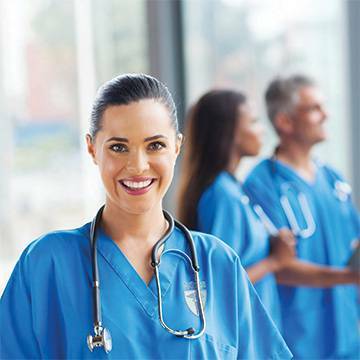 According to the U.S. Department of Labor, the demand for registered nurses is on a significant rise, and will continue this upswing for the foreseeable future. Between 2012 and 2022, the number of registered nurses employed in the United States is expected to increase by 19 percent.